We deep dive into Nissan’s S13 to find out exactly what makes this iconic drift car so special. Now I know some of you may beg to differ, but to support our view on why the Nissan S13 (240sx) is the right platform to start with here’s what we found. Please remember that I am based in the United States and so we are referring to the 240sx, not the 180sx or other more expensive S13 variants. New to drifting? 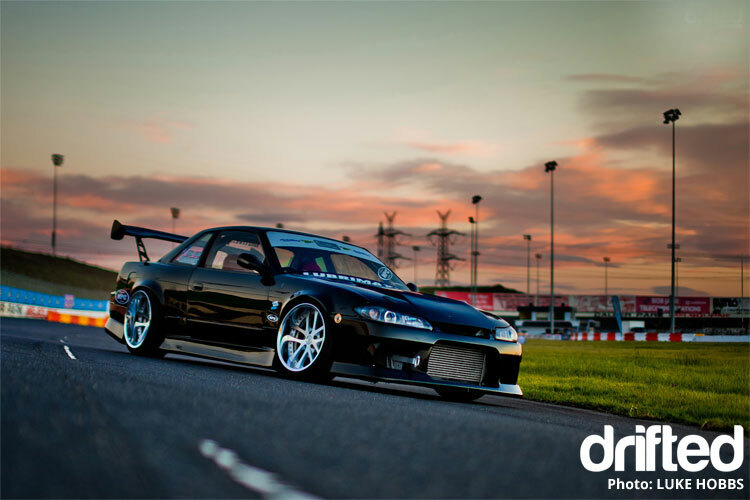 Check out our drifting tips for beginners. The S13 is from the factory, a very simple car. The S13 is from the factory, a very simple car. They used multi link suspension with a MacPherson strut design, to give it the sporty response demanded back in the day while still maintaining an affordable price tag. So when it comes to upgrades outside of coilovers you’re usually only focusing on new bushings versus most other platforms where you have got to do custom fabrication or subframe swaps from other vehicles to get the response you want. The S13 is a car you can go search on Craigslist and find all day running for about $2K to $3k, now most of that cost is due to “drift tax” or the over-popularity of the car being sought after that then raises its value. Nonetheless not only is the car very affordable but so are the aftermarket upgrade parts for it! This goes all the way to a new used motor. When I bought my drift car the Angry Panda, It was just $1,500 (this was before drift tax started going out the roof back in 2012). Since then I have gone through four different motors. Two single cams, and two dual cams which if you add up all four motors I paid just $450. If you compare this to other options on the market you will really understand just how affordable this platform is. Factor that in with its 55/45 weight balance and i’d say you just can’t go wrong. 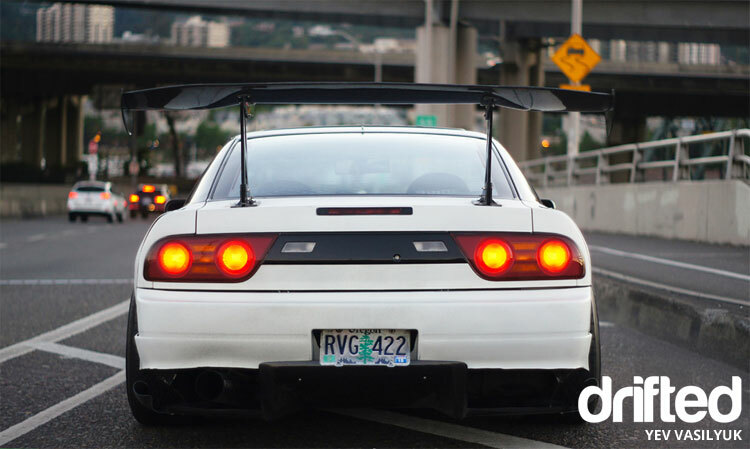 The S13 has a great unibody design that helps it be lightweight and nimble. I think my car fully gutted (with me out of it) brought it right to 2,400lbs. 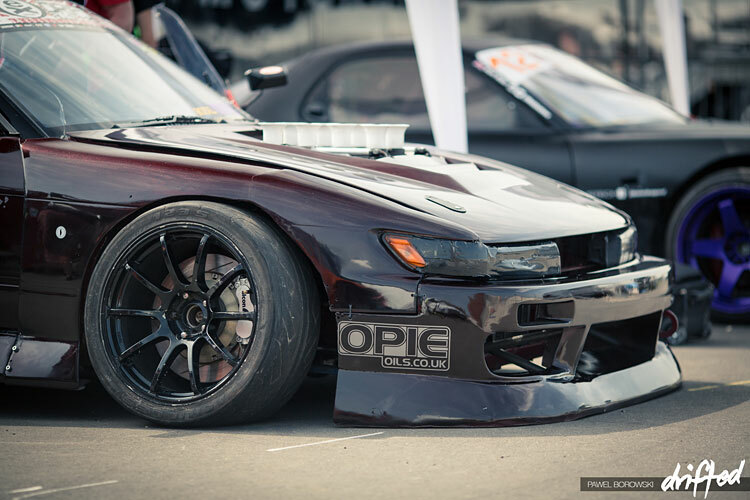 See in the drifting world you want a balanced chassis, one that’s easy to control and predict. Too much weight in the front and you become nose heavy and will understeer all the time, but too much weight in the rear and your oversteer will be out of control (much like a Toyota MR2). The 240sx has a list of popular swap options but what makes it so good is the fact that most of the swap options is going to have an off the shelf kit available for it. From American Muscle to top rated Japanese motors, they’ve taken a lot of the guessing game out of it. This makes things much cheaper and easier when it comes to taking your car to the next power level. 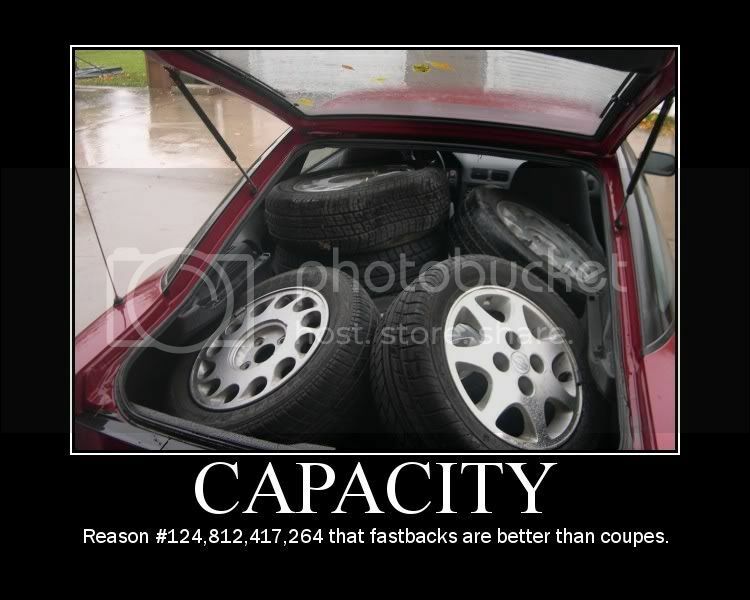 The hatchback design of the S13 allows for you to load a larger amount of tyres into it then most of the car’s competitors. Even the coupe and later S14 and S15 variants lose out on loading space due to the thicker rear passenger bulkhead design that the S13 doesn’t have. Having the capacity to load more tyres into your drift car is going to really help you out when you start hitting the track. Now this isn’t just for making your car faster. 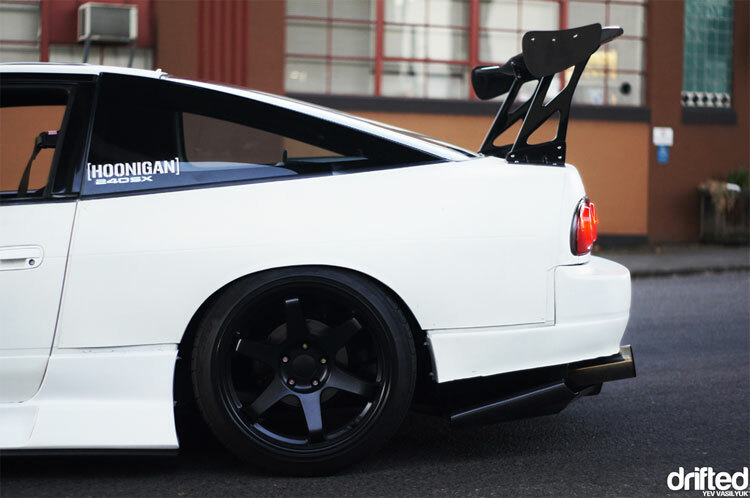 The 240sx has one of the largest aftermarket parts available for it in the industry. It’s not like a Toyota Supra where a few companies have made it their niche and specialized in it. Rather due to popular demand many companies sized from big and small have dabbled in the Nissan realm making finding parts so much easier. This extends out to suspension components, chassis reinforcement, and body panels. One thing is for sure when you drift your car you are bound to at some point make a mistake and crash. Well unlike most of the newer or older Japanese RWD cars, you will never have an issue of finding a new rear bumper, fenders or even over-fenders. Now you may have to wait at least two to five days for shipping but there’s never a shortage of the parts available. The other cool part is that the cost compared to other drift options is far less as well, which is great for those on a budget. Drifting is a process and a journey between car and driver. 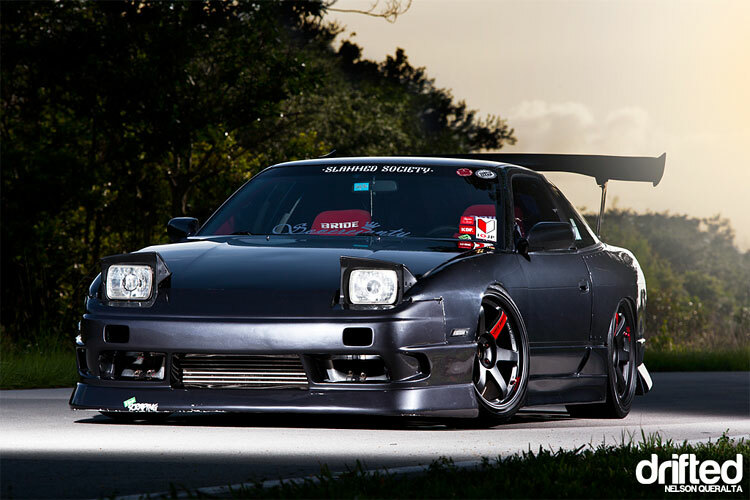 Now as a drifter I will say that I absolutely love the Nissan S13 but I also know that it isn’t for everyone. It’s my philosophy to drift whatever your heart desires but it’s also true that some platforms will need to be heavily fabricated to drift properly or achieve great angle. Either way once you get your drift project I encourage you to see it through and don’t give up the build. Drifting is a process and a journey between car and driver. Grow with your ride and your skill shall grow with it! Looking to buy your own S13? 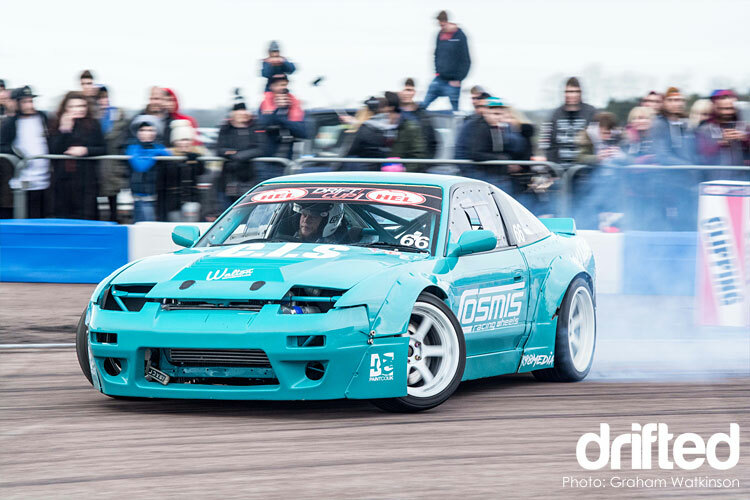 If you are looking to pickup an S13 for yourself then check out this excellent buyers guide video by YouTuber Kalvin Malli. 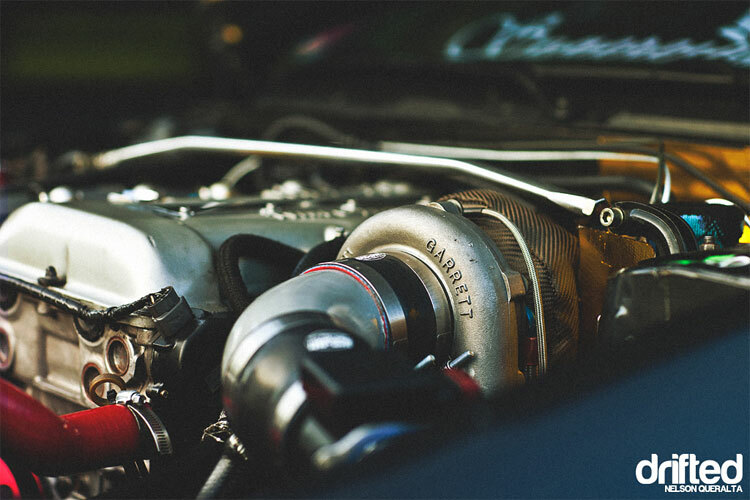 If you want to look at what other options are available for your drift build then check out our 7 Best drift cars for beginners article. 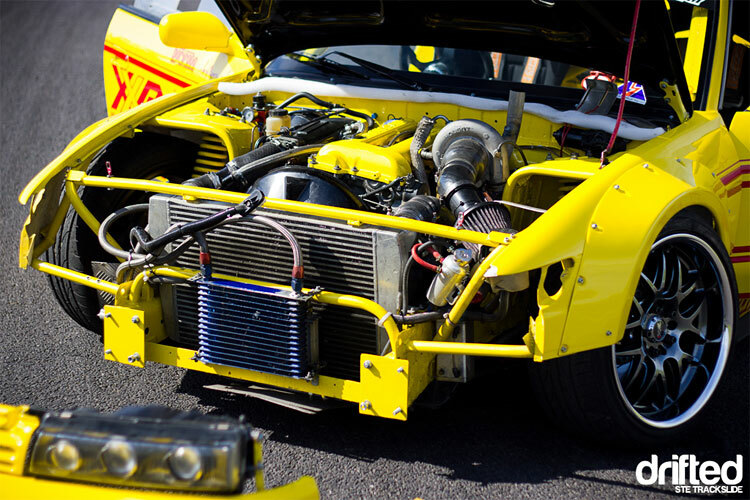 If you want to get a little more advanced check out my article for Limited slip differentials vs Open differentials.